Less than three months before starting a new edition of the Cevisama Fair, CEVISAMALab, the brand that brings together all the cultural and educational activities of the event, is already underway. This time, apart from organizing the regular activities, spaces and awards, has also added a new award sponsored by the City of Onda: Ceramic Street Furniture Award. Ceramic Design and Bathroom Award. It is a kind of laboratory of the latest trends in ceramic, bathroom, architecture and design in which students of engineering, architecture, design and fine arts contribute with their capacity for experimentation, their freshness and their ideas to the hundreds of jobs exposed during the days of the fair. Creative ideas turned into high quality and competitive products. 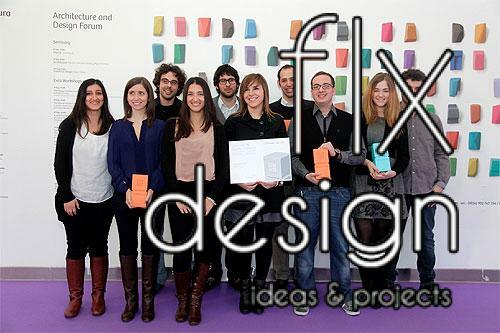 The jury in charge of the selection and award of prizes shall be appointed by Cevisama. The deadline for registration and delivery ends next December 12th. Design Award for Ceramic Urban Furniture. It is sponsored by the City of Onda and created with the aim of promoting the use of ceramic tiles. It will be possible to present traditional ceramics with functional aesthetic innovations or new applications for ceramic tiles. Or a combination of both. Projects will be displayed during the celebration of the Cevisama fair and afterwards deposited in the “Ceramic Tile Museum” in Onda. Moreover, CEVISAMALab also includes exhibitions, trends, meetings and conferences. Some of them are Trans-hitos, Alfa de Oro Awards, the Forum of Architecture and Design, EXCO technical conferences organized by the Polytechnic University of Valencia and various activities organized by the Institutes of Technology.